We helped our client bring their brand online with a website design that gave visitors a reason to return. 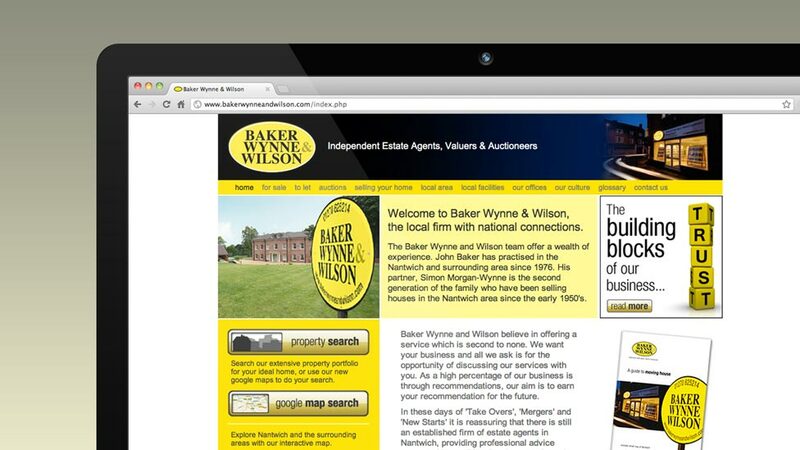 Baker Wynne & Wilson required a fully integrated estate agency website in order to bring their brand and marketing online. The site needed to be developed in conjunction with specialist estate agency software provided by Vebra. 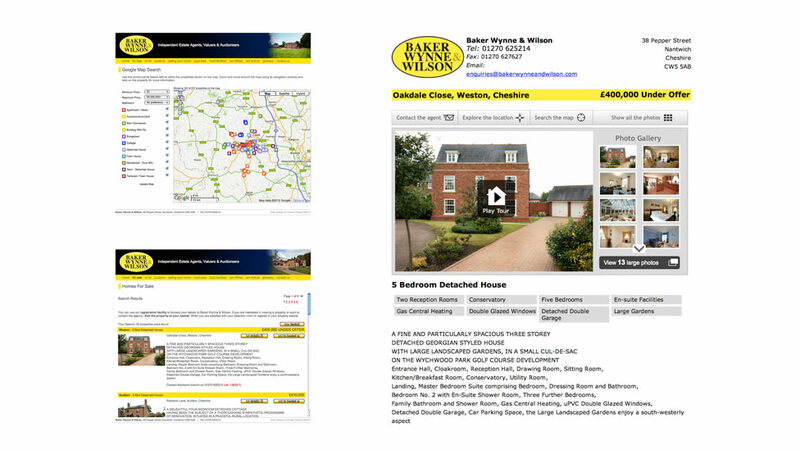 This enabled the Baker Wynne & Wilson team to add and update properties for sale or to let on a regular basis. The website is also integrated with Google maps showing property locations and also has search filtering functionality enabling users to filter by price or other criteria. The estate agency website offers users a variety of other functional tools for property searching. These give the website differentiation from competitors, and create a reason for customers to return. The website also features useful guides such as interactive maps of the local area, and the home movers checklist to name two. A list of nearby facilities, such as schools, medical centres and hospitals, help visitors get a feel for the area. View Baker Wynne & Wilson website.